Meet Rec Poly — Our ultra lightweight fabric to inspire air envy. Also known as Earth’s best friend. Matt wears the Forward Jacket, the Featherweight Mat Tee, and the Runner’s High Short. Lane wears the Slipstream Jacket, the Circuit Mock Crop, the Tech Sweat Biker Short, and the Relay Short. For every dream of running free, there’s Rec Poly. Designed with a 4-way stretch that’s sweat-wicking and fast-drying, this OV fabric is your ally made for air. Matt wears the Forward Jacket, the Featherweight Mat Tank, and the Runner’s High Short. Lane wears the Slipstream Jacket, the Tech Sweat Racerback Bra, and the Relay Short. Designed for sprinters and joggers alike, Rec Poly’s easy engineering keeps you moving toward light speed. Matt wears the Forward Jacket, the Featherweight Mat Tank, and the Runner’s High Short . 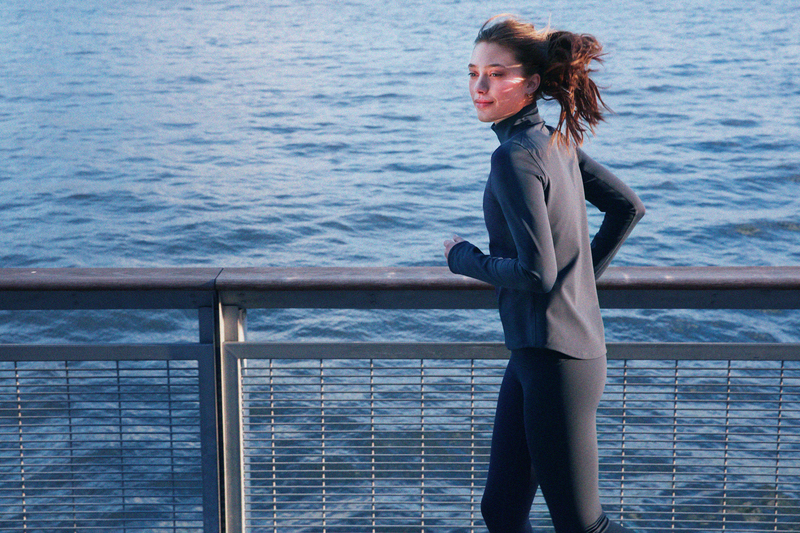 Lane wears the Slipstream Jacket, the Tech Sweat Racerback Bra, and the Relay Short. Did we mention it’s made from 100% post-consumer bottles? To break it down, every thread of Rec Poly was woven out of plastic from the blue bin. Even Earth can breathe easy. Matt wears the Forward Jacket and the Runner’s High Short . Lane wears the Slipstream Jacket, the Tech Sweat Tank, and the Relay Short.